Copywriting: Get Results! - JustPositionIt! Copywriting: Get Results! - JustPositionIt! Craft Compelling Copy that Sizzles and Sells in 22 Minutes! Stop guessing and get your message on point with this FREE guide! 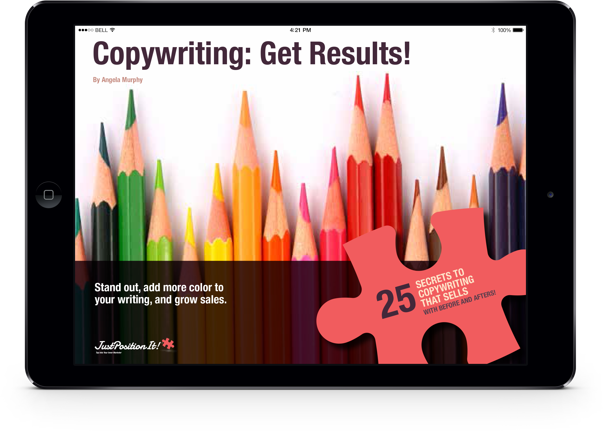 Get 25 free secrets to copywriting that sells. Learn the #1 thing you can do with your copy right now to drive more action. Discover pain-free ways to write more compelling copy. Don't let bad writing cost you wasted time and valuable sales. Drive action with better, bolder, more colorful copy. See real-life before and after's. Get a FREE surprise to put your copywriting on the right track. Almost done: Insert your name and email to get instant access. You're on your way to better copy! Ang understands that words can be powerful! 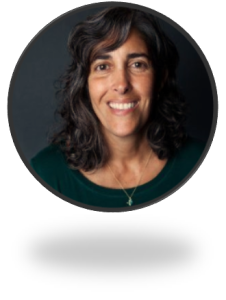 She helps you use the right words to evoke emotion and tell an enticing story. Her easy-to-follow tips on writing for the consumer help to get clear and concise messages across.